Our engineers, designers, & analyst follows agile development methodology to deliver projects in fixed deadlines. Test, support, design, development and operations work together as one delivery team to automate & streamline the design, build, test and release process. 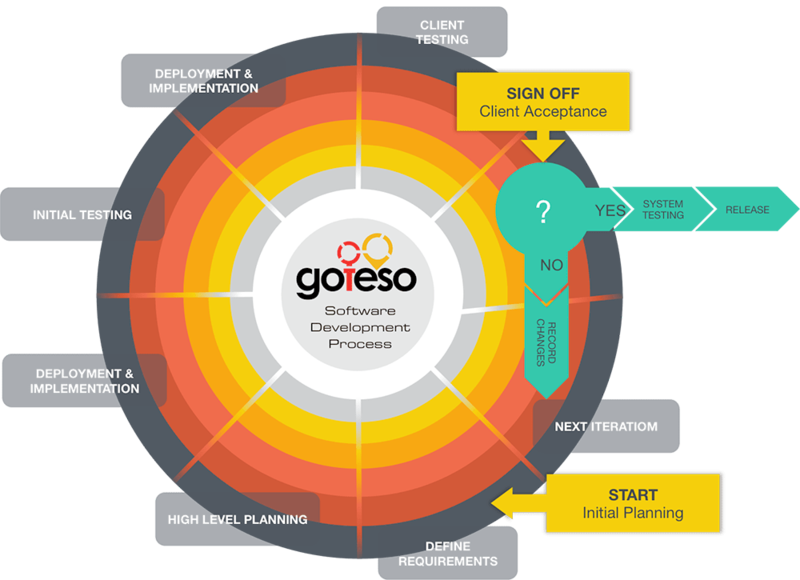 I received very good work from them so I would strongly recommend anyone to give their business projects to Goteso. They are responsible and respects the client's very well. They confidently talk about every single aspect of the project. They are very cost effective and reliable in work. Every penny invested in the project is really worth for me. Even if you don't have technical knowledge, you don't have to distress about your project while it is in the hands of developers of Goteso. You just have to explore your ideas in plain English, they will transform into scalable, bug-free, quality product which can help you to grow your business. I am working with Goteso for a couple of months. It was amazing to work with the perfect developing team. They help me a lot with time and budget we discussed beforehand. Mr. Yugal Kishore talks in very professional manner and is always available whenever required. Quality of work is really very great. I would give them 10 out of 10. I will always prefer them in future whenever required and suggest you the same.